Camping in a tent – that was yesterday! 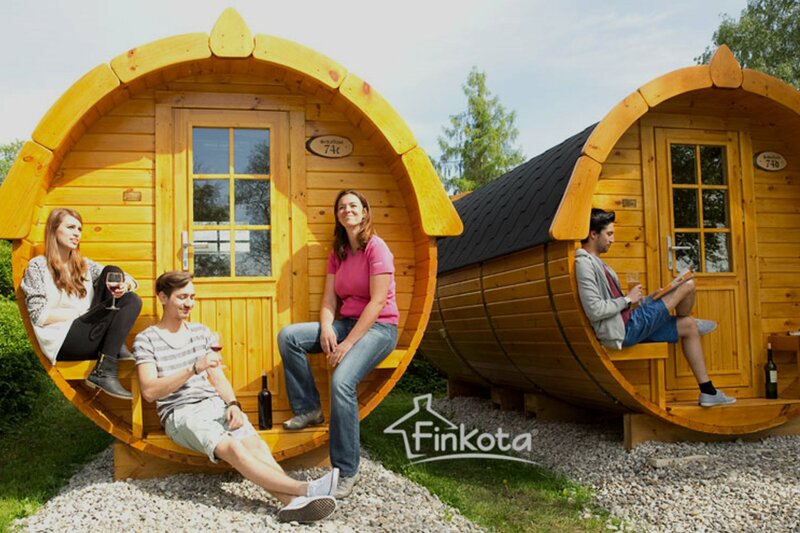 Experience the extraordinary camping sensation in a comfy sleeping barrel! 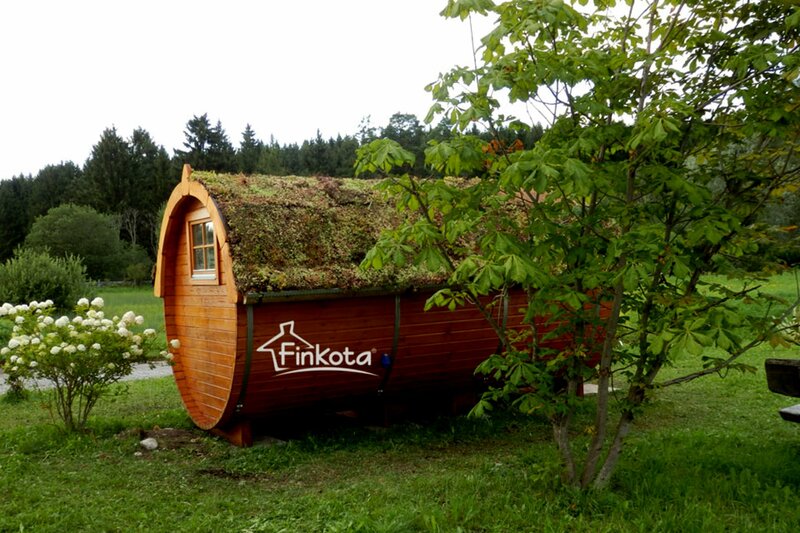 The comfortable camping barrels (4.30 metres in length and 2.30 metres in height) are equipped with a 2 x 2 m family bed as well as further extra bed options and let your holidays become an unforgettable, idyllic experience. Get close to nature withour new camping barrels made of pinewood. Escape your daily routine and enjoy relaxing hours alone or with your loved ones in this unique indoor climate with wooden note. 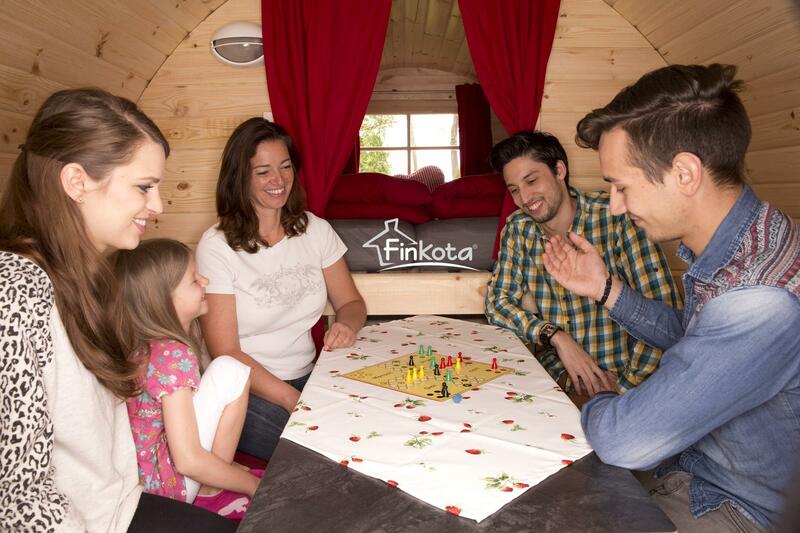 A large, extendable dining table is integrated below the twin bed in the camping barrel. 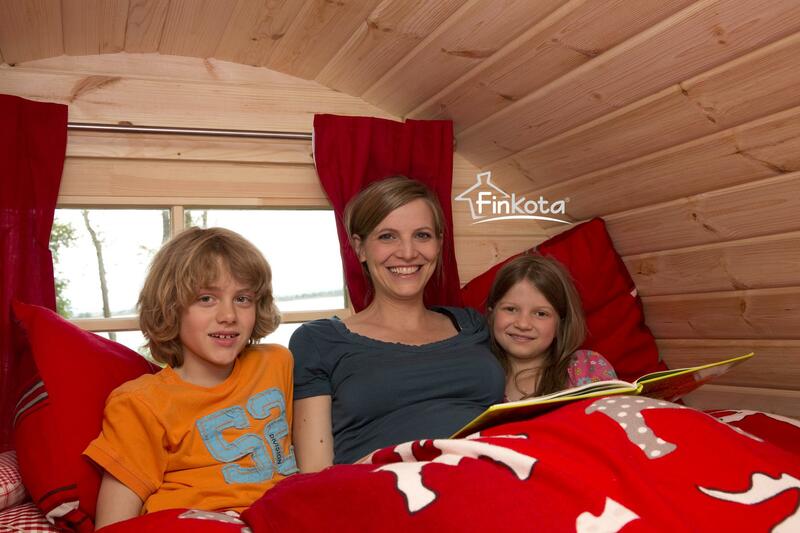 The camping barrel offers enough space for relaxing, snuggling or playing. The two benches can easily be converted to a bed (0.70 x 2.10 m each). The mattresses are upholstered. You are invited to rent bedclothes for a fee. You may, of course, also bring your own sleeping bags. 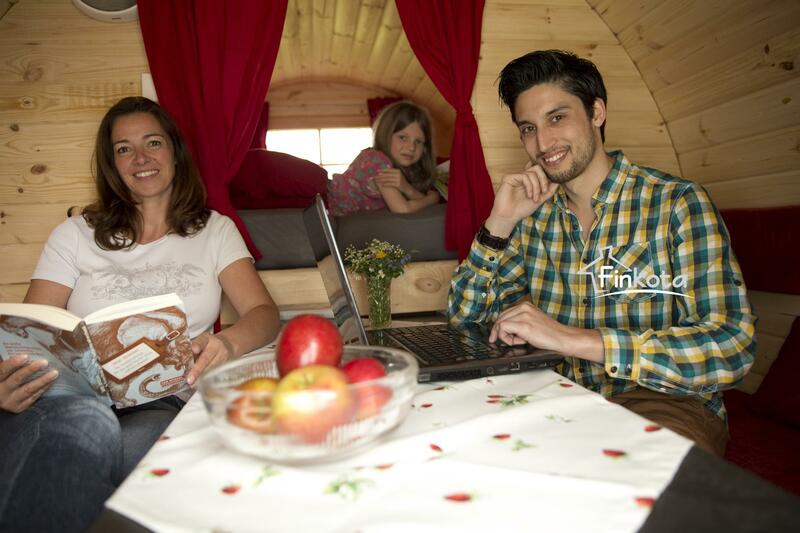 A cozy room temperature, even in chilly nights, is provided by the installed infra-red heating system in the camping barrel. Plenty of light and air circulation is ensured by the three windows. Sockets for charging your electrical devices are also available at the camping barrel. This camping barrel truly is a spatial miracle and leaves nothing to be desired. Try it! Pets are not allowed in the camping barrels. Special offer: For bookings of at least 3 consecutive nights we are happily granting a 10% discount off the basic price.